There are 3 adjustment knobs in this unit. One is for adjusting nitrogen pressure, others are for adjusting high and low damping force. 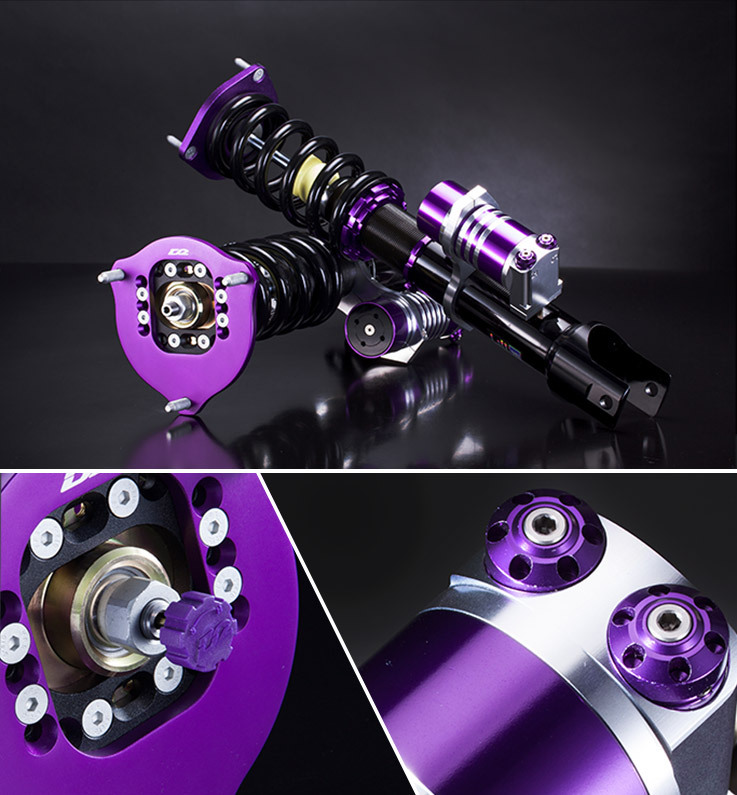 Super racing coilover is used particularly in track, rally asphalt, drift and drag. Super racing suspension kit is made specifically for your personal use so both front and rear struts are marked as "★"
The pillowball top mount can be adjusted the camber degrees and increase the handling and stability of your vehicle by 10%. However, it is easy to create some slight unusual sound when come across a big bumps. The pillowball top mount covers no warranty.